↑ "Priyanka Chopra, Nick Jonas engaged, see pics from their roka". Hindustan Times. 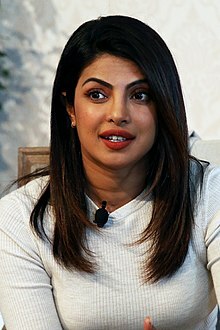 August 18, 2018. https://m.hindustantimes.com/bollywood/live-updates-priyanka-chopra-nick-jonas-engagement-ceremony-begins/story-WEEDdh6qefnfvTFT7DaQmL.html. अन्तिम पहुँच तिथि: August 18, 2018.